That's a great tip when not sure of purchasing a lip product I like to test it for a bit as well, well, when they are pricier products anyway. Yes, I always do that if I want to purchase something expensive and especially if it claims to be long-wearing! Thanks for visiting! thanks for the tips! I splurge on way to many lipsticks and I should really put more thought into my purchases! Gorgeous lipcolor by the way! I'm constantly licking and biting my lips too, I hate that habit!! Lip colors rarely last on me because of that, ugh!! This is such a lovely shade, and I'm glad to hear it works well on you! I hear the greatest things about the YSL glossy stain. I really need to try these! It is soo pretty!! Thank you so much for sharing with us! Def. try to get your hands on one, I love mine! I had a great time at my party last night, thanks girly! And Happy Holiday to you and your fam as well! I've wanted one of these for so long but the price tag scares me! I picked up one of the L'Oreal Lip Stains from Ulta because I heard they were fairly similar. I haven't tried the YSL one before, but so far I'm loving the L'Oreal one! I'd definitely recommend trying them out because it's a third of the YSL price. OOOH, I'll def. put that one on my shopping list thanks for the heads up! great review! I really want to try this! Thanks and thanks for the recommendations, I'll put them on my shopping list! I like your blog btw and am now following on bloglovin! 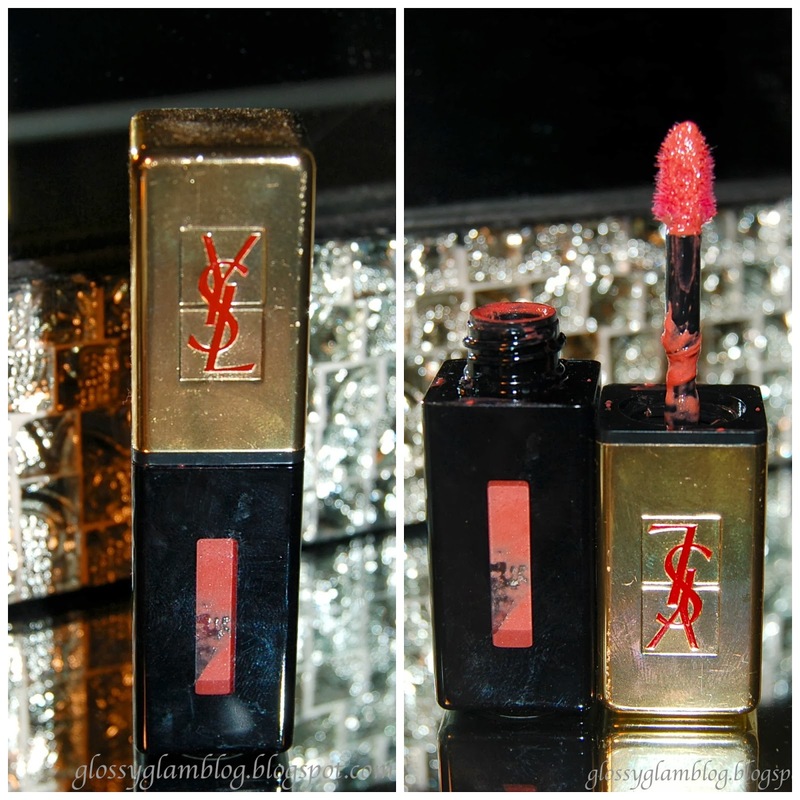 I love the YSL Glossy Stains! I have this colour too - I have been trying to choose another one but can't find a colour I love more than this. They wear so well - even glossy after eating!! Have you tried the L'Oreal dupes (the glamshine stains at least that's what they are called in the UK) yet? I see people have already recommended them. They are good, but not as opaque as this one - worth a go though! I've heard of the L'Oreal dupes but haven't tried them yet. I'll def. give them a try though. I do love these YSL ones though!